Joining the Alumni Association is the perfect way to stay in the know about Olympic College, your fellow alumni and our campus community. 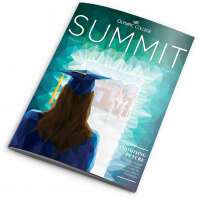 Our mission is to develop a sense of community among alumni and promote the lifelong personal, educational and professional growth of OC alumni and students. You can help by staying in touch and letting us know what kinds of events you’d like the Alumni Association to sponsor.